A Fort Bragg marathoner is now being called a lifesaver after donating her kidney to a fellow service member. 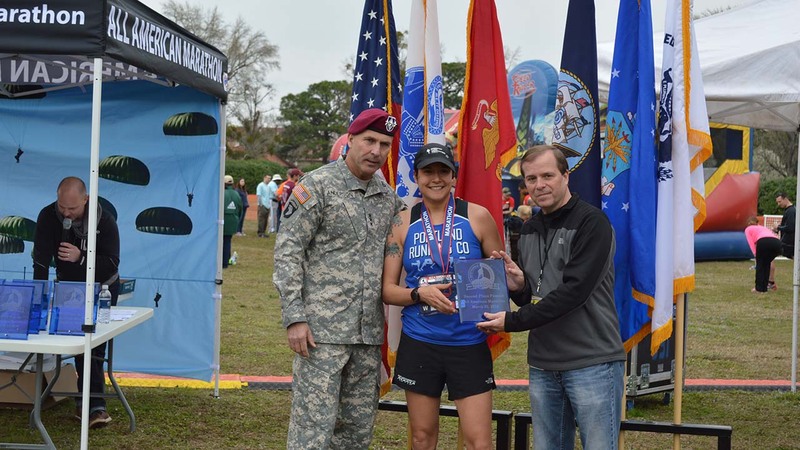 Shauna Dool, a 34-year-old Army Reserve lieutenant, has been running races since she was five years old. When she found out her roommate's brother, Sgt. Miguel Filpo, needed a kidney, Dool put her marathon-training on hold and got tested to be a donor. Filpo's kidney problems started after his last mission with the 82nd Airborne in Iraq in 2008. He and his men were searching a house for explosives when a bomb went off, killing three and blasting him with shrapnel. After multiple surgeries and extensive doses of antibiotics, Filpo's kidneys began to fail. He thought he was going to die. "I was not afraid to go," Filpo explained. "I was, like, ready. The way I saw it, on February 5 of 2008, I lost those three soldiers. I figured I should've been with them and the fact I got extra time, to me was a blessing." Filpo's seven siblings were all tested for a kidney match. Then, his sister told him her roommate, a member of the Army Reserve, decided to get tested as well. The text Filpo received said that Dool had gone to UNC and found out she was a match, and that she was ready to do the surgery whenever Filpo was ready. Even though the two had only met once, Dool said she felt moved to do it. "I mean, he was injured because of his service and I just felt compelled to help him, as another service member," Dool said. Filpo said it was like a fairytale. "She's really an incredible person. A person that doesn't know me decided to give up and organ from her body to literally extend my life," Filpo said. Filpo said he's incredibly blessed to receive the transplant, but he says the operation is not a permanent fix. He also said he's hopeful advances in medical technology will help him extend the use of his new kidney.